The Grand Prismatic Spring is not only the largest hot spring in the United States, it is also the third largest in the world. Back in the 18th century a group of fur trappers mentioned a “boiling lake”. 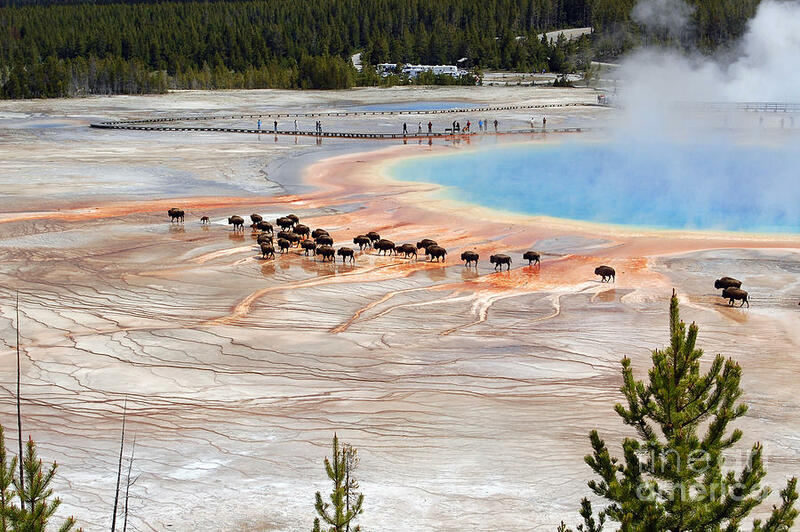 They most probably referred to the Prismatic Spring with its nearby geyser. The colours of it are because of bacterias and the mineral-rich water. Depending on the season you visit, the colours might vary. Just walking by and trying to see it from the sidewalk won’t work. It also wouldn’t do this beauty justice. Head south down the main loop road. Then look for something like a parking area on the right hand side of the road – close to the midway geyser basin. On the map you will see the falls, where the spring is located. 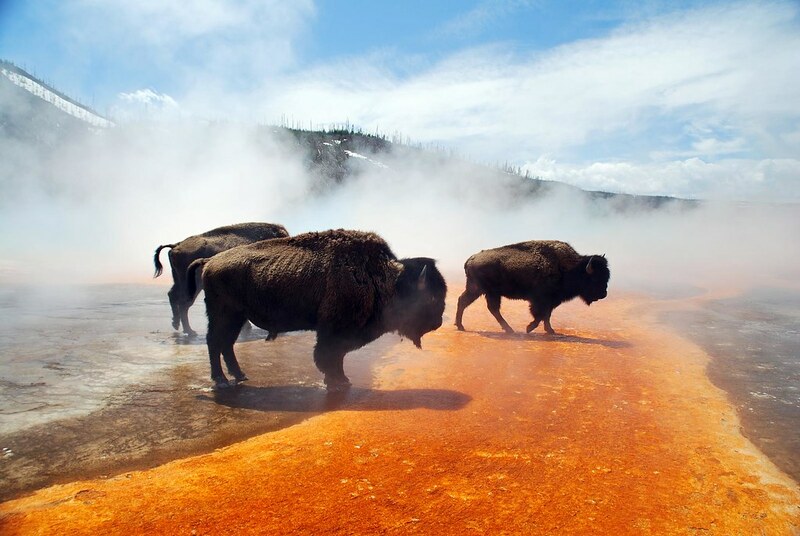 You will want to hike across from the grand prismatic spring. Then climb up the hill and enjoy the view!